Auckland Transport has existed for as long as the Auckland super city. And the time may have arrived for its future to be reconsidered. To understand why a trip down memory lane is required. AT’s predecessor, the Auckland Regional Transport Authority, came into being in 2004. Then Local Government Minister Chris Carter said that one of the reasons for ARTA’s formation was “confused decision making, which has resulted from an inefficient and cumbersome governance structure with too many bodies involved in it”. And so the decision was made to centralise control of parts of Auckland’s transport system. ARTA’s role was to integrate transport planning in the Auckland Region, and its goal was an efficient and sustainable network providing modal choice. It was to operate and improve the passenger rail network and to design and operate bus and ferry services. One area it did not have jurisdiction over was local roads. They were to continue to be the preserve of local authorities. The perception at the time, at least in Wellington, was that Auckland’s diverse Councils could not coordinate development in a way which benefitted the region as a whole. But I don’t accept that this was the case. In 2000 all the local authorities and the Auckland Regional Council managed to agree on the Auckland Regional Passenger Transport Action Plan, a document that foreshadowed the double tracking and electrification of the rail system as well as the roll out of light rail. Everything was agreed. It was only the election of John Banks as Auckland Mayor in 2001 and the calculated removal of part of the network from consideration that destroyed the business case for light rail. And now 17 years later we again have plans for light rail. If only the original plans had been kept to. ARTA then morphed into Auckland Transport with the creation of the super city. 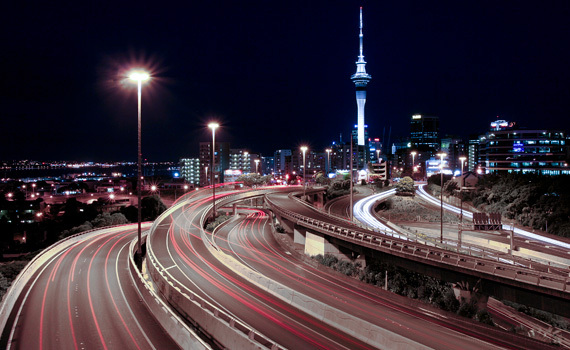 But unlike ARTA AT was given nearly complete powers over all of Auckland’s transport systems. This was actually contrary to what the Royal Commission on Auckland’s Governance had recommended. Under ARTA councils retained control over local roads. But the Government decided on the recommendation of then Minister Steven Joyce that the whole transport system should be handed over to AT. Interestingly business interests preferred Joyce’s decision and the ARC and various local authorities preferred that an elected body had decision making power. But Joyce went with business interests’ preference. Why is it time to rethink AT’s role? Because in my view it is not brave enough to make the really significant changes that our future requires, and it is not sufficiently receptive to fulfil local desires and aspirations. It has fronted some good stuff. The City Rail Link is now under way although I think that history will show that Len Brown and the old ARC deserve the most praise. There will still be a time before its opening when the rail system’s capacity has maxed out and security guards will have to be stationed at Britomart to manage the crowds but it will be opened. And then Auckland’s passenger rail system’s usage will soar as people realise how easy and efficient it has become. Although the scale is still not huge compared to international models. The underground part will be 3.4 kilometres long. In Shanghai over 25 years the Chinese authorities have constructed over 600 kilometres of underground rail. It has also championed the reintroduction of light rail although it would have helped if the communication of this to Auckland Council had been better. And I am pleased to see the inner city is becoming increasingly pedestrianised. Civilised cities overseas do this as a matter of course. It is good that AT now realises that this sort of change can work here too. But AT has dropped the ball on other projects and has taken some really backward steps. For instance the latest draft Auckland Regional Transport Plan had to be extensively rewritten at the Government’s and Council’s insistence because even though there were nice words about the importance of walking and cycling in the draft the proposed spend in these areas was going backward at a rate of knots when it should have been accelerating. And statistics concerning safety and congestion have both dramatically worsened over the past eight years. Although the country’s safety record has worsened Auckland’s has deteriorated to a much greater extent. Recent decisions to disestablish the Walking and Cycling Unit as well as the Urban Design unit are very retrograde. In my view in a perfect world a concentration on urban form, one which reduces reliance on the use of the private vehicle, would be the start middle and end of all design processes. Addressing congestion by building more roads is something that has been done for decades, and shown to have failed for decades. And increasing passenger fares for Hop card holders by up to 6% for students and young people out west wanting to travel to the inner cities is so retrograde. Now is the time that we should be supporting and promoting passenger transport usage, not choking it off. Maybe AT was not to blame. But if it was Council wrestling with this problem you can be assured there would have been much less finger pointing. So maybe it is time for Auckland Transport to be brought back into Council or at least significant parts of its business. And for the planning of transport to be completely integrated into the planning of the city form. It is the little things, like wanting to fell iconic pohutukawa to widen a road, or not being responsive to local desires and wishes that really annoy and rankle. The Point Chevalier Pohutukawa needed an AT Board reprieve to save them. Out west the local board has had to be continuously vigilant to make sure that local trees are not lost to “network efficiency”. Also in the Waitakere Ranges the issue of weeds in the road corridor are a major concern. The basic problem is there is just not the budget applied to do anything about them. Regional Parks and private landowners are doing what they can to keep the weed menace at bay. But it is heart breaking to see that good work undone by the rampant spread of weeds along roadways. The local boards have an unenviable task. We are at the receiving end of public frustration with transport issues. We dutifully accept them and forward them to AT only to see them disappear for months on end before seeing a reply. And we raise concerns about budgets needed for local environmental issues but get told that the budget is needed for tarmac. So perhaps it is a time for AT to be brought back into Council. The original reason for its predecessor’s creation, that Auckland was too divided politically, no longer applies to the Super City. Of course regional matters such as the rail network and the motorway network as well as the management of arterial routes will continue to need a high level regional approach. But so many transport decisions have local place making implications. Surely it is time for these decisions to be brought under direct democratic control. And surely in creating a better city we need to start with what is best for our urban form, not what AT thinks is best to improve the flow of cars. The super city is approaching its ninth year of operation. Now is a good time to review its structure and talk about how things are going. And make changes to improve things. I think the future of Auckland Transport as well as the other Council Controlled Organisations should be the first topic discussed during any such review. And that it is time for it to be brought firmly back under democratic control with its mandate being the creation of a sustainable and fully democratically run city.